First you want to slice your veggies. I like spice, so I chose jalapeños and onions. Asparagus, spinach, mushrooms, or any other veggie that would go great on a hamburger would work here. 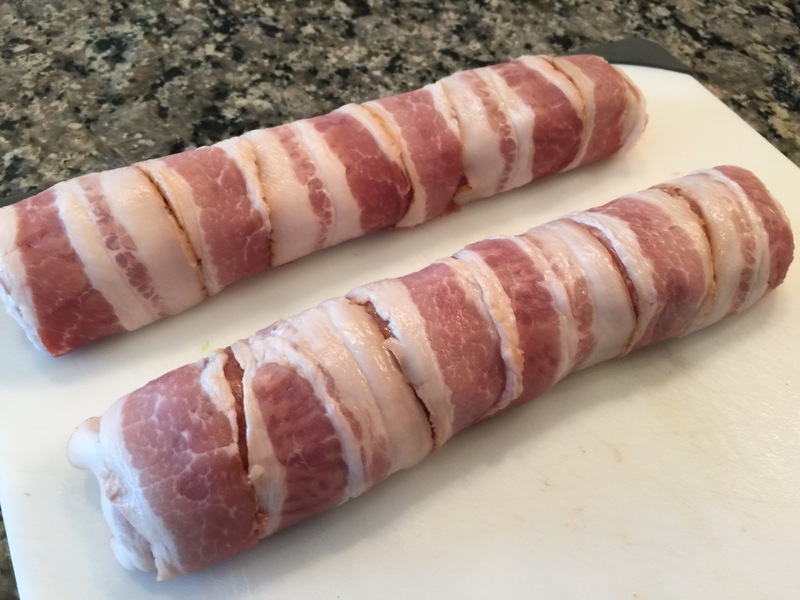 Now, take your uncooked sausage and make a very thin layer over ALMOST the entire layer of bacon, leaving about a 1/2 inch of exposed bacon at one end. The exposed end will be the “bottom” and the part furthest away from you. Now that you have your base laid, choose your cheese (any cheese that comes in blocks will do.) 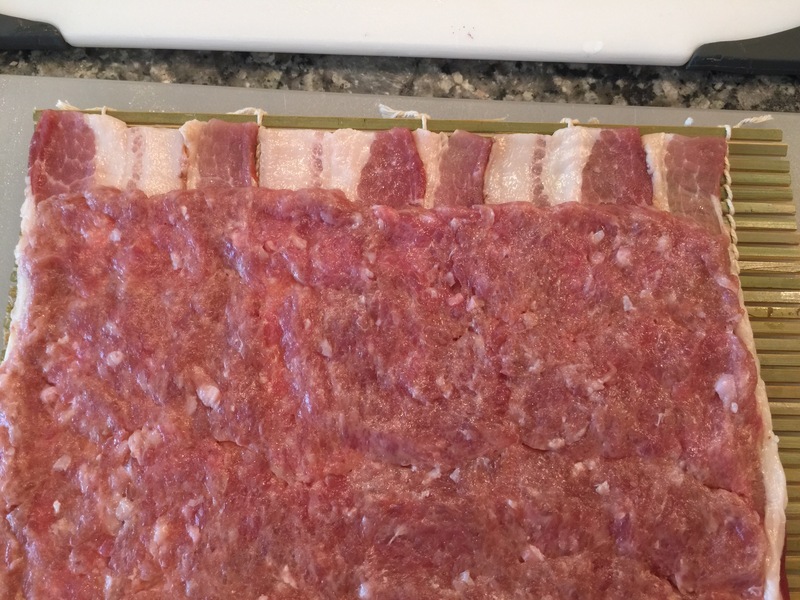 Slice strips and place them about 1/4 inch away from the edge of the bacon/sausage layers. Place your veggies in line, tightly against the cheese. REMEMBER: We are going to roll this up, so the tighter everything is, the more the roll will stay together! Begin rolling the bamboo around the cheese and veggies making it as tight as you can without tearing things apart. Tuck the bamboo roller under itself, just barely and only for a second to form the roll. Now pull only the bamboo up just a bit. This is the first time in several minutes that the bamboo will be separated from the bacon. It will surely be very sad. No biggie, bamboo doesn’t have actual feelings. 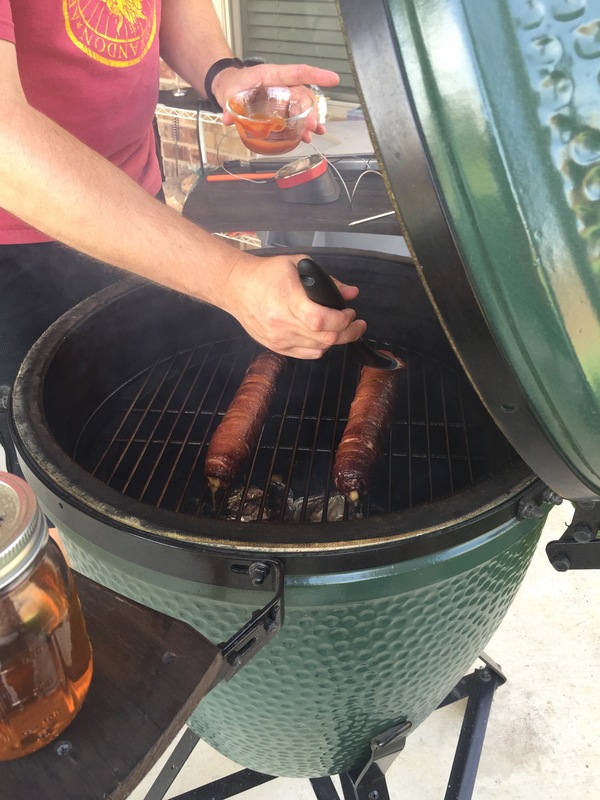 While pressing firmly (but not hard) roll the bamboo forward, toward the “bottom” where the exposed bacon is, until the roller is folded on top of itself and you are left with a roll of bacon goodness! Don’t worry if it feels a little loose, it will tighten up as the bacon and sausage cook! Feel free to shape it up a bit, if needed. This part takes a bit of practice. I’ve made 15 or 20 of these and I get better with each one. Heat your grill to around 350 degrees. Throw those puppies on there and let them sit for about 10 minutes. Turn them over and let it ride for about 5 more minutes. I use direct heat because it helps the bacon get nice and crispy. Grab your favorite BBQ sauce and give them a good coating. Leave them on for another 5 minutes and take them off! Let it rest for 5 minutes and cut like sushi. 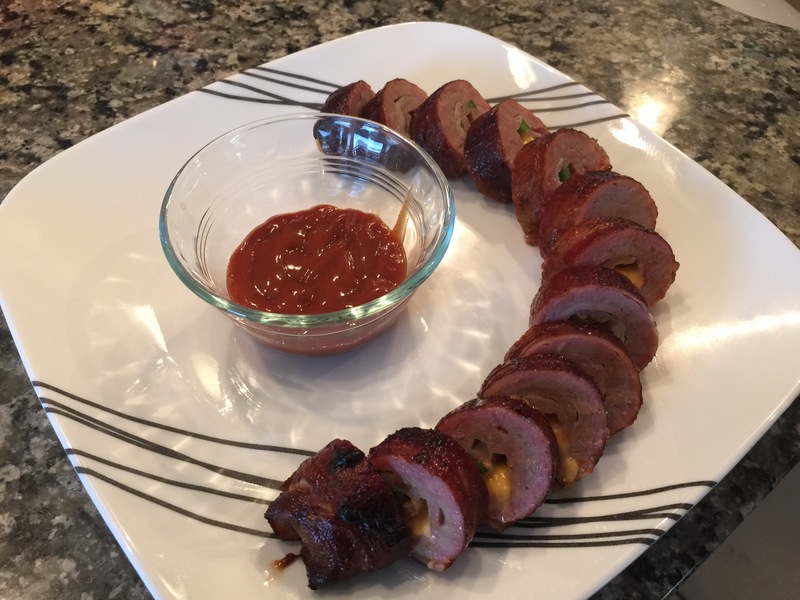 Serve with BBQ sauce or eat just like it is! Let us know what you put in your BBQ Sushi Rolls, in the comments! 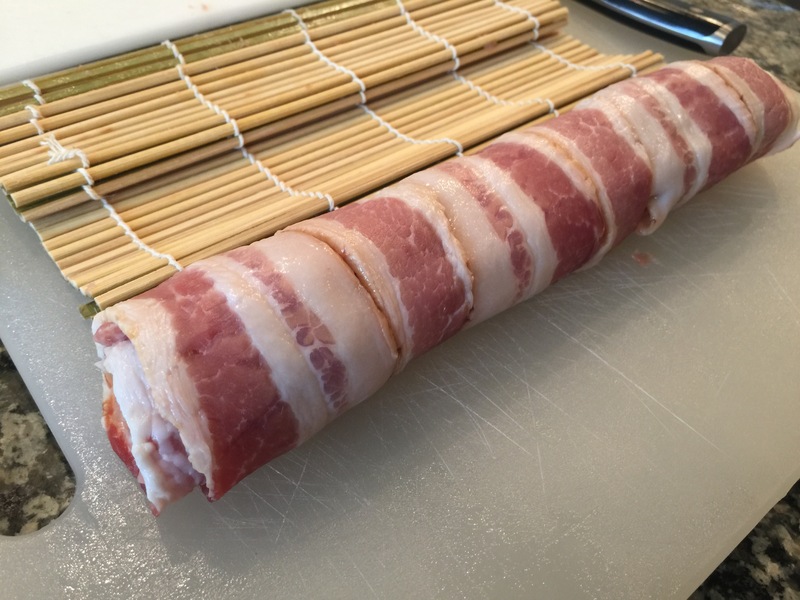 Lay out your bacon, leaving about 1/10th of the bamboo roller showing. 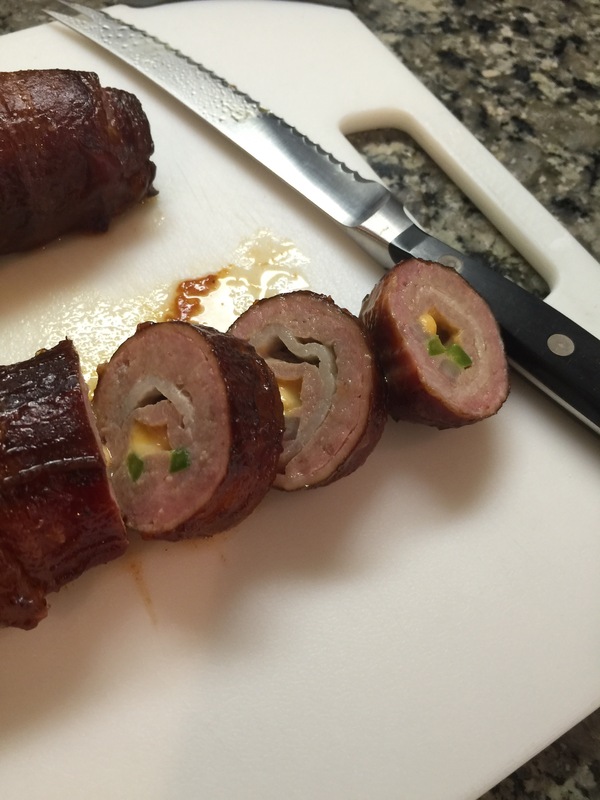 Cover the bacon with a thin layer of uncooked sausage. 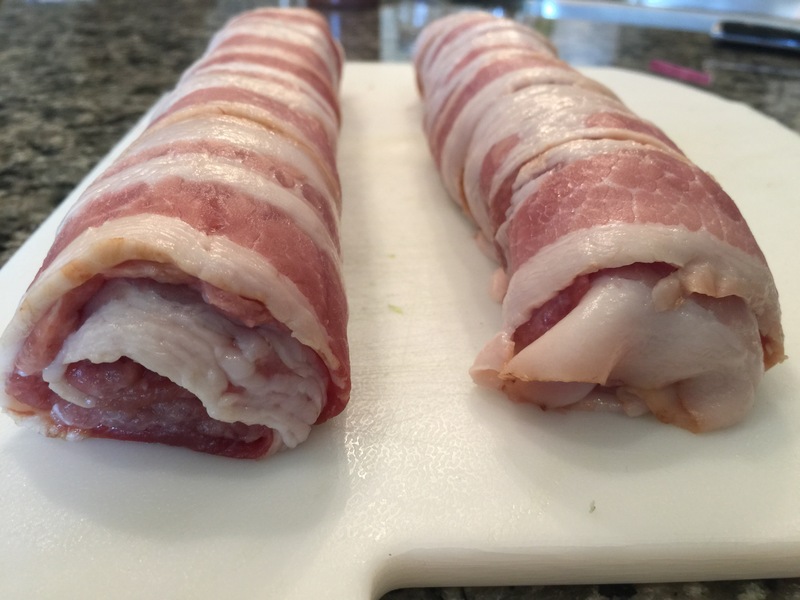 Leave 1/2″ of expose bacon at the far end. Put your cheese and veggies of choice at the end closest to you and keep them packed tightly together. Cook at 350 degrees for 15 minutes turning after 10. Glaze with BBQ sauce and cook for an additional 5 minutes. Cut to look like sushi.